[SatNews] Nexgen satellite communications in Europe received a significant boost this week as KVH Industries, Inc., (Nasdaq: KVHI) and its partner, ViaSat, Inc. (Nasdaq: VSAT), increased the mini-VSAT Broadband network’s capacity in the region by 100 percent. At the same time, the addition of a new satellite, NSS-6, expanded the overall coverage area for the popular worldwide Ku-band satellite network that supports maritime subscribers as well as ViaSat’s Yonder® in-flight broadband network for business and commercial aircraft. The mini-VSAT Broadband network was designed from the ground up to be the first nexgen maritime satellite communications solution. 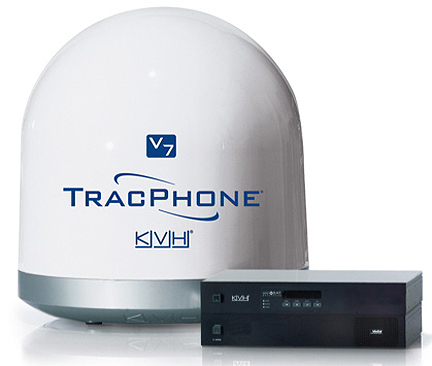 Offering service and performance superior to traditional maritime VSAT services through a global spread spectrum satellite network, it also includes the rugged KVH TracPhone V7, the first FCC-approved 24-inch (60 cm) VSAT antenna. 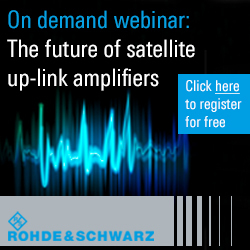 Already the fastest growing maritime VSAT solution, mini-VSAT Broadband’s seamless worldwide network is delivered by 12 satellite transponders and 9 secure earth stations and offers voice service and Internet access as fast as 512 Kbps (upload) and 2 Mbps (download) with significant cost savings compared to competing services.